Anyone vaguely interested in Augmented Reality technology is quick to point out its most resounding business fiasco: The 2015 flop of Google Glass. 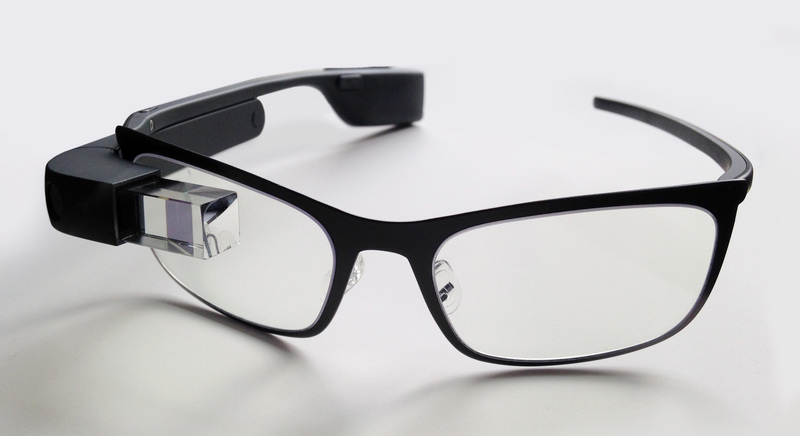 Fast-forward a few years, and it turns out Google Glass is actually finding a second wind. Packed with Google’s powerful AI algorithms, the glasses are now used by workers in the factories of some of the biggest manufacturers in the world. While Apple is notoriously tight-lipped about its roadmap, all signs point to the launch of AR glasses by 2020. 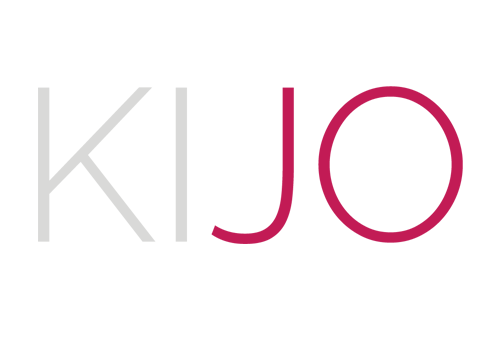 They have acquired several AR or VR-related firms, and more interestingly, purchased the startup Vrvana for $30 Million in 2017. This is notable because it now means Apple owns full rights to the highly praised (but never shipped) Totem AR headset. Enhanced surface and object detection: the core technology upon which all good AR experiences are built. Enables virtual objects to seamlessly blend with your real world, from video game characters to tailored advertising banners. 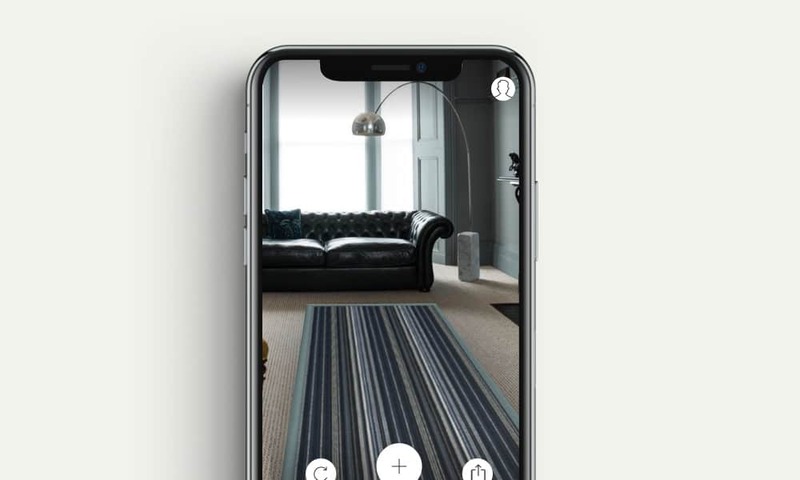 Persistent experiences: AR content at fixed locations. The killer feature for geolocation-based marketing, such as promotional discounts for passersby or enticing offers for increasing customer loyalty. Multiple users: another much-anticipated feature set to completely revolutionise AR interactions. Multiplayer AR gaming has been a staple of science fiction literature for the past few decades – if Apple can make it a reality, they would corner a huge chunk of the AR gaming segment. As we all know, Apple is a master at taking control of modes of distribution. 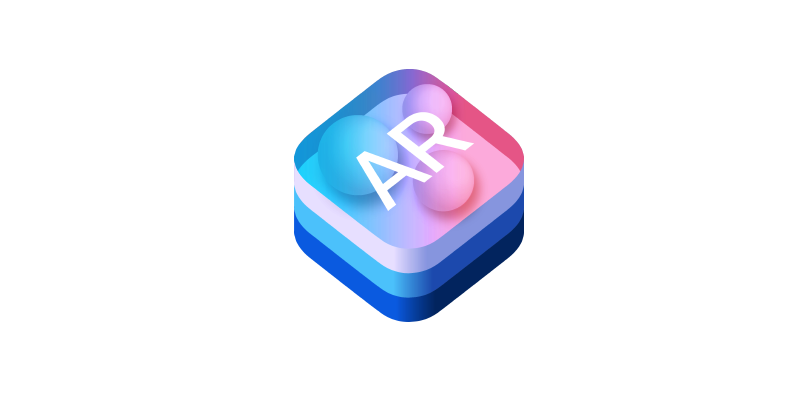 If ARKit becomes the go-to AR development framework, the company will successfully create a potentially huge extra source of revenue. Finally, while Apple will probably keep focusing on AR glasses for enterprises, their brand power, market positioning and huge outreach puts them in a strong position to finally make mass consumer adoption a reality. Their track record isn’t spotless (ahem, Apple Ping), but they have did manage to put a MP3 player in every home with the iPod, change the way we think about communications with the iPhone, and resurrect the dying notebook format with the iPad. Which is to say: be prepared to find an iGlass on everyone’s Christmas list in only a few years. When a journalist asked Facebook’s head of augmented reality if they were building glasses, the answer was an enthusiastic Yeah! Facebook’s first foray into the world of hardware, their Portal teleconferencing tablet, has yet to achieve momentum. But it clearly shows the company isn’t afraid of designing, manufacturing, and selling consumer electronics. (And it certainly isn’t scared of investing in hardware, as demonstrated by their $3 billion acquisition of Oculus in 2014). Since Amazon and Google have cornered the smart home device market, and Apple and Samsung are battling it out for the phone segment, the AR glasses world is a relatively new frontier. Facebook would have every advantage here in becoming the main competitor to Microsoft’s HoloLens – and the best way to do it would be to launch a highly successful pair of AR glasses – and fast. While an “Augmented social media” is the obvious choice for Facebook, AR will open a world of possibilities for Zuckerberg’s company. Gaming, entertainment, marketing… It’s easy to see how Facebook, and later Twitter or Snapchat could completely redesign their platforms to deliver it to AR wearables. One of the major drawbacks of Google Glass was its look. It turns out, creating visually appealing glasses with integrated hardware is quite the challenge. Snapchat’s Spectacles also proved to be a commercial flop, hardly selling 150K devices, and many were quick to blame the failure on their polarizing design. But what if you had complete control over the kind of glasses you wanted to turn into smart ones? This is exactly what companies like North are betting on – creating AR glasses that look just like standard ones. A projector neatly tucked inside the frame beams content directly into your retina (which sounds creepy or awesome depending on who you ask), and there are no visible screens. 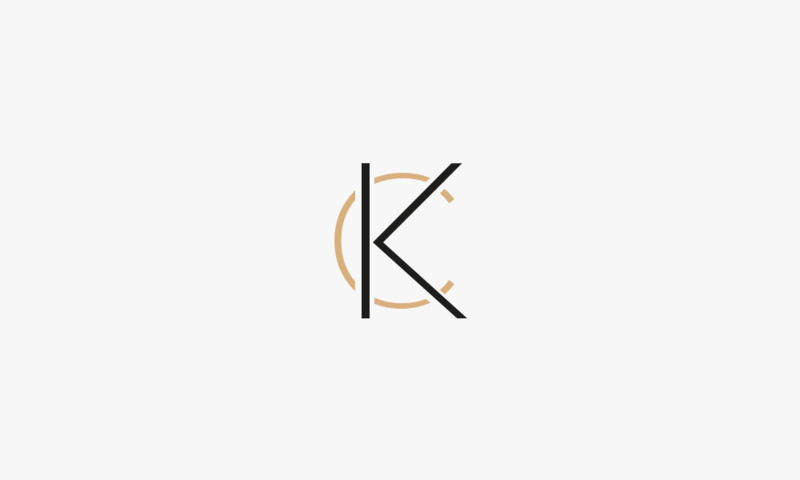 Menu navigation is achieved via an extra piece of hardware, a custom-made ring called the Loop. At the time of writing, you can order a pair of North Focals prescription or non-prescription lenses for $999. You still need an appointment to customize them, but they are decidedly not techy-looking. 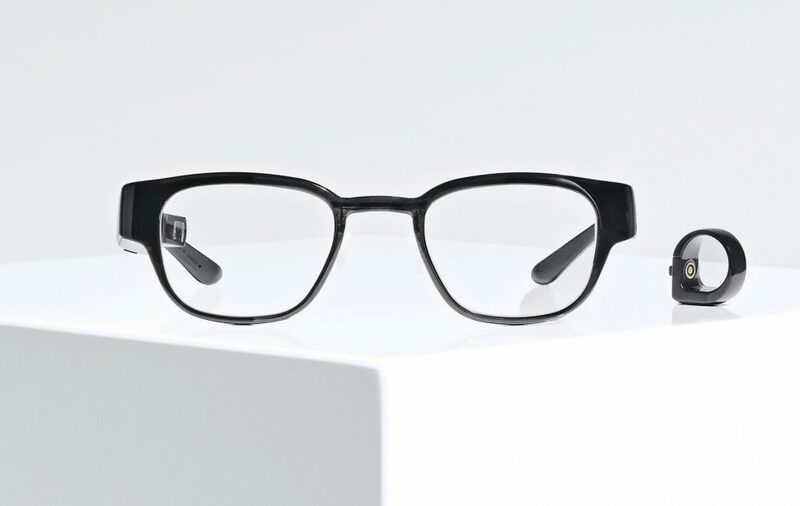 In fact, the Focals marketing angle is very clear, flaunting the merits of “custom-built glasses with a display only you can see”. 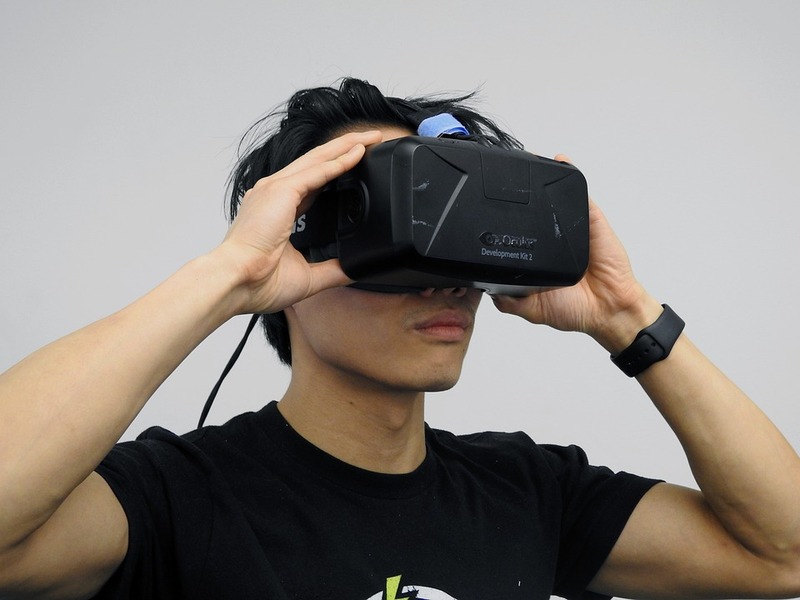 Similarly, Vaunt glasses (created by Intel) do not show visible buttons, LCD screens, or cameras. 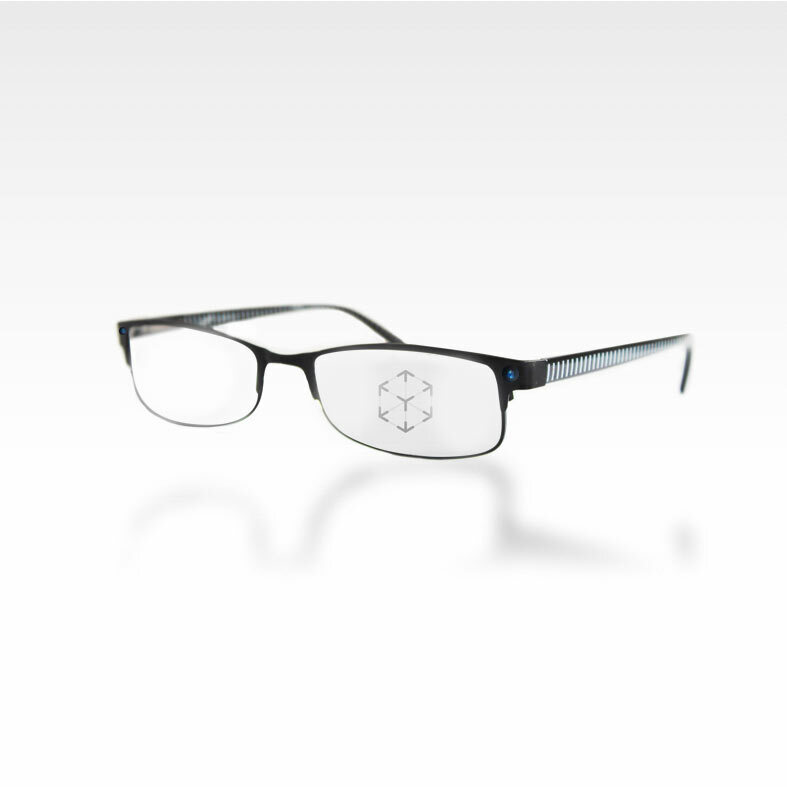 And the company PogoCam goes even further by offering a magnetic camera that simply attaches to your existing glasses. It’s lightweight, unobtrusive and easy to add or remove as needed. Finally, it doesn’t take much to picture popular glasses and eyewear brands jumping on the AR bandwagon. How about some limited edition AR Ray-Bans? Or an Oakley / GoPro AR crossover for recording your most impressive extreme sports stunt? 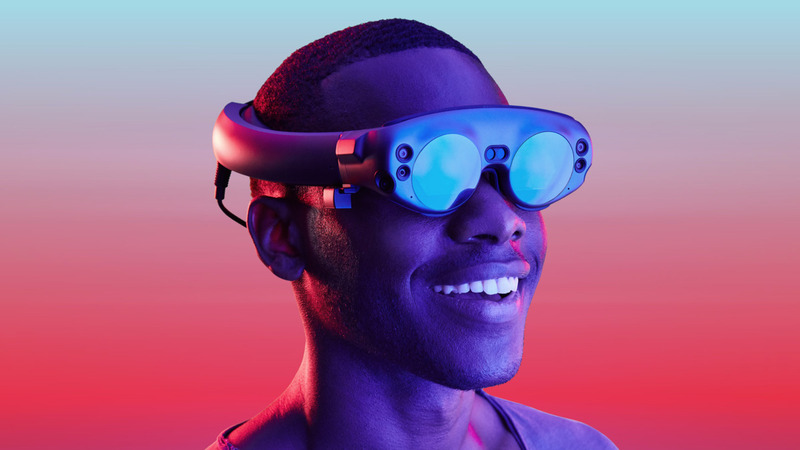 Earlier this year, Magic Leap, a start-up backed big names – including Google, Alibaba, AT&T and the Saudi stae – launched it’s much anticipated augmented reality glasses. Despite heavy investment of over £1.8bn, multiple tech commentators had no problems in pitching their concerns. 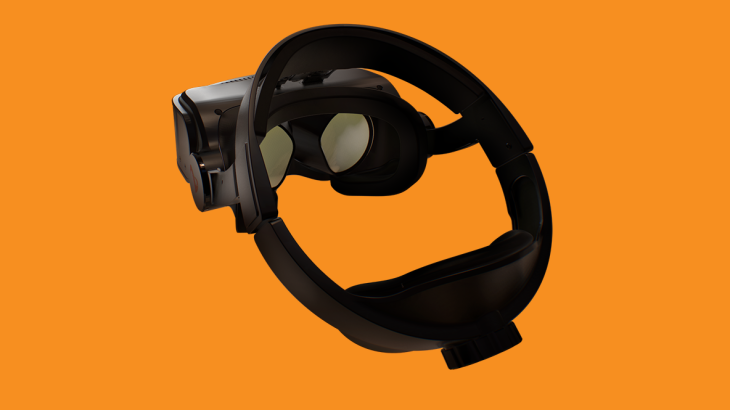 Similarly, CNBC’s Todd Haselton described the headset being bulky but comfortable, adding that it “can be hard to see objects that are really close to you or too big for the headset’s field of view”. He concluded that, although it was “impressive”, it would be likely to take years to create a model suitable for the general public “where there’s no limit on the field of view and where every TV channel and movie and the game I want to play is all in that world”. Finally, it’s worth circling back to our first example. Google Glass, however controversial, is still an amazing product that actually works. Which is why pivoting towards the enterprise market could just be the strategy that slowly makes the technology more acceptable in the coming years. Yes, the original Glass over promised and under delivered. 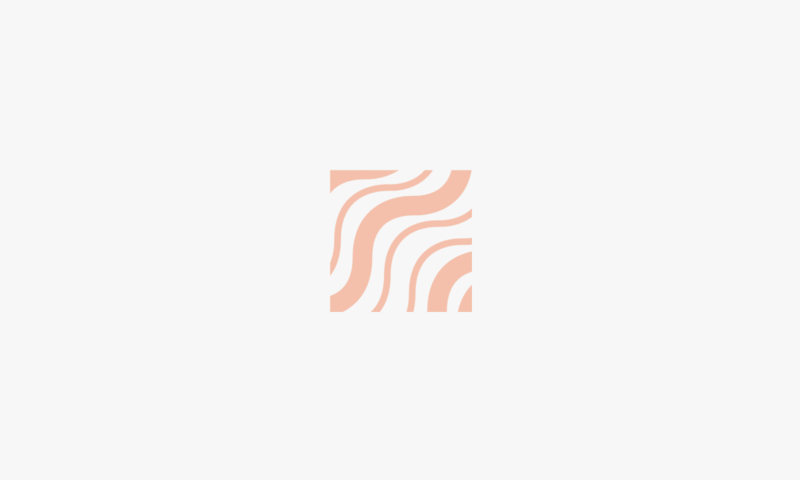 But as the technology entered its second act on factory floors across the world, the software integration is quickly turning it into a powerful, efficient, and potentially very marketable tool. 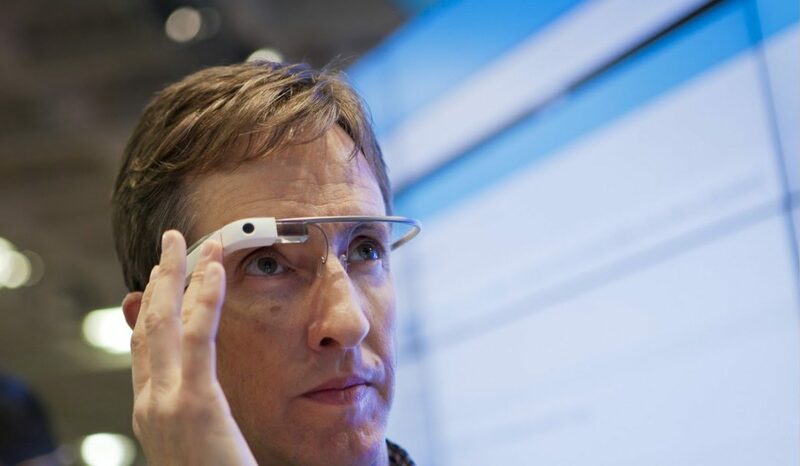 So Google Glass could have just been a victim of its hype. Or maybe it was too quick to launch to market? Maybe all it needs are a few iterations, hardware redesigns and tweaks. Let’s not forget that Google (like Apple) already has a huge advantage over the competition with their complete ecosystem of phones, software and services. Adding wearables to the list certainly doesn’t seem unlikely. 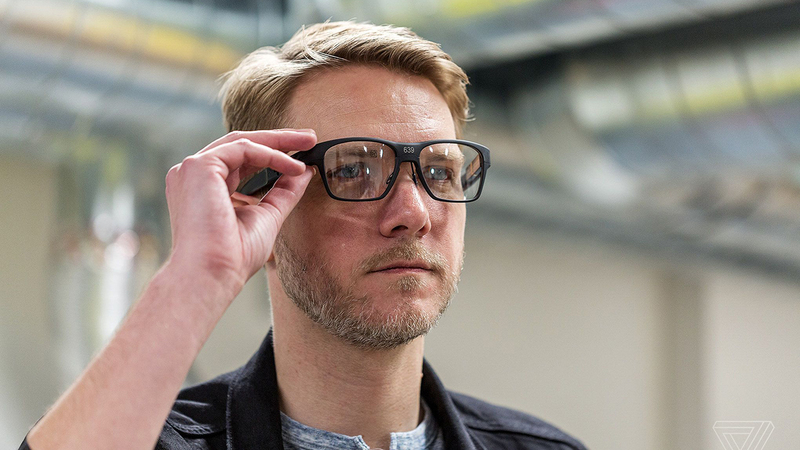 Who knows, Google Glass could become the Denim or Safety boots of the next generation: a working-class technology that proves its worth on warehouses and factory floors. And maybe one that eventually becomes fashionable for its use, durability, and functionality. AR Glasses – the Next Tech Paradigm? Twenty years ago, few people could have imagined a world in which smartphones are as ubiquitous as they are today. From where we stand, it’s not a huge leap of faith to picture AR glasses as the next omnipresent and indispensable technology. 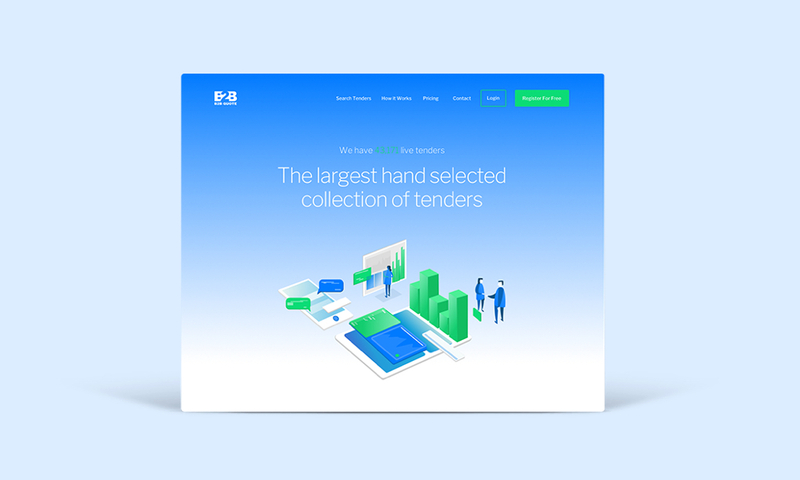 One that will revolutionize our everyday life as well as numerous industries such as healthcare, design, or even entertainment. As the author William Gibson puts it: “the future has arrived, it’s just not evenly distributed yet”. It certainly seems like when it comes to AR and AR goggles, all the pieces are already in place. We could just be one product release away from mass adoption – and it may come a lot sooner than you think.